- Is it possible to improve grphics stat of YSFlight? 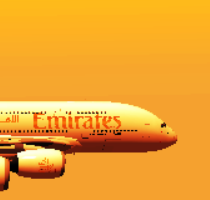 - How can I replace the plane in a scenery with planes that i have downloaded in a pack? - Some beautiful scenery (I am also serching for this, but if you know something good, please telle me). I'm sorry for my mistake, if you don't understand something, please tell me and I try to explain better. Thank you guys for your answers!!! St Maarten is a really nice scenery that you should try. Heathrow 2015 also a very good one.